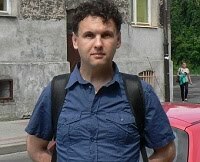 The Directorate of the Investigative Committee for Karelia has suspended its preliminary investigations into the case of Maksim Efimov (Yefimov), leader of the local division of the Youth Human Rights Group under investigation in connection with his authorship of the text "Karelia is tired of its priests", while Efimov is being sought. This was reported by lawyer Olga Rybalova to the Agora human rights organisation. The Investigative Committee has noted that they have prepared an indictment accusing Efimov, but that it did not currently appear possible to present him with the materials of the criminal case and to send the case to court. However, a month ago Efimov's defence demanded the suspension of his criminal prosecution due to a lack of any legally defined crime (corpus delicti) in the actions committed by him. Various experts have come to the identical conclusion that the blogger's criticisms were directed at the Russian Orthodox Church and not orthodox believers. His lawyers drew attention to the fact that previously pre-trial restrictions had not been applied to Efimov and that the activist is located in Estonia. Maksim Efimov is suspected of "fomenting hatred or enmity and likewise denigrating the dignity of groups of people on the grounds of their religion" (part 1 article 282 of the Criminal Code of Russia) as a result of the publication of the article "Karelia is tired of its priests".